The telecommunications industry is a dynamic marketplace. Technologies are constantly changing, which can easily lead to confusion. Let us do the work for you. Schooley Mitchell audits your landline, long distance, toll-free, fax, Internet and wireless services to identify cost savings, increase efficiency and recover billing errors. We negotiate directly with telecom companies on your behalf to ensure you are receiving the best services at the best possible price. Our risk-free recommendations, implementations and continued monitoring allow you to focus on what you do best – running your business. Credit and debit card processing is often referred to as merchant services. Continuous calls from persistent salespeople are bothersome and time consuming. In such an oversaturated market, it’s hard to know who to trust. Let us clear up the confusion. many of the fees associated with accepting payment cards. Our systematic auditing will reduce your electronic payment processing spend and improve services. We analyze all of your merchant services systems including credit, debit, eCheck and ACH transactions. Oftentimes, savings can be implemented without having to change processors or switch equipment. Small Package Shipping and Courier costs are steadily on the rise, and invoices for shipping services can be hundreds of pages long. The charges can be confusing and onerous to track. 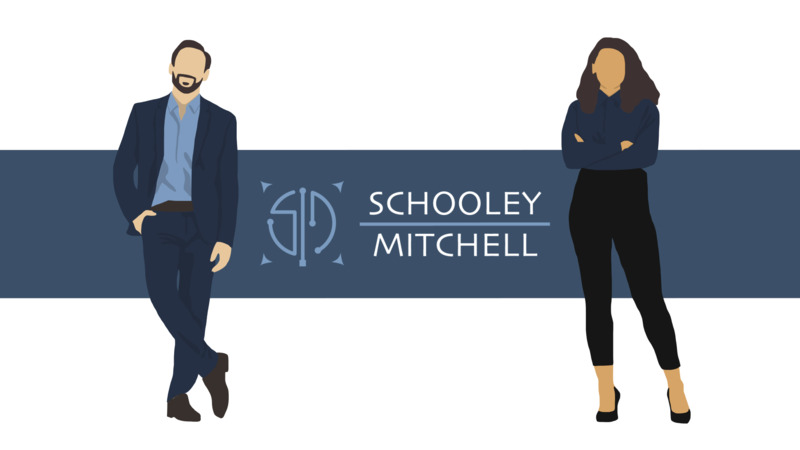 Schooley Mitchell can help. We provide practical solutions to reduce small package shipping and courier costs through billing error recovery, service guarantees, optimized pricing, and cost-effective shipping practices. Plus, we’re completely independent of all small package shippers and couriers, so we’re only motivated to help you! Let us take those invoices off your desk so you can focus on what really matters – growing your business. Schooley Mitchell is a large network of independent and objective telecom, merchant services and small package shipping experts. Both friendly and competent, we are consultants with specialized expertise you can trust, as thousands of happy clients have already experienced. Schooley Mitchell handles your telecom, merchant services and shipping needs without selling you anything, allowing you to focus on your core business knowing your systems are fully optimized and any wasted money is recovered. Save you MONEY without sacrificing service Our model is a risk-free proposition, and our only compensation is a share of the savings we identify for you – money you are already spending with vendors. These savings are realized by us implementing cost-effective solutions and cost-recovery measures for you. Save you TIME without increasing your payroll We augment the efforts of your existing staff without adding payroll costs and with no cost for out service except for a share of recovered money. Help you benefit from our KNOWLEDGE and experience As the largest independent telecom and merchant services consulting company in North America, we have extensive research and analysis capabilities. Our growing network of telecom professionals and our specialized analysis tools and databases means our expertise is second-to-none. Help you gain a sense of SECURITY through our objectivity We are completely objective in assessing your current and future telecom and merchant services needs, with no ties to any service provider so you can be confident you are getting the best advice to help you make the right decision.